The 8th Annual Patient Safety Academy will be held on Friday, September 29th on the University of Southern Maine’s Portland campus. Registration opens at 8:30 am. The fast-paced day is filled with two plenary sessions and over 10 workshops from which to choose. We will honor our Rising Tide awardees after a networking lunch. Please visit our website to view or download the agenda and to register for this exciting conference. The Patient Safety Academy grew out of an initiative of Maine Critical Access Hospitals to build an infrastructure that supports patient safety and quality improvement activities. This infrastructure led to multiple external grants and initiatives and the launch of the Maine Patient Safety Academy in 2010. Over the course of the last seven years of the Patient Safety Academy, we have provided both practical and cutting edge educational experiences for an interdisciplinary audience of healthcare providers, pharmacists, quality and patient safety leaders, students, and consumer advocates. 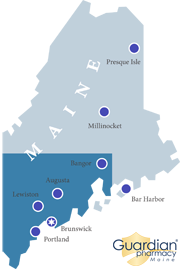 Our goal is to continue to build inter-professional and community partnerships that will advance the mission of patient safety education for healthcare providers in Maine, and together we have made significant strides in “raising all boats” in the effort to improve patient safety in Maine.